British motorcycle maker Triumph has just sent us a block your date "for the Big launch". 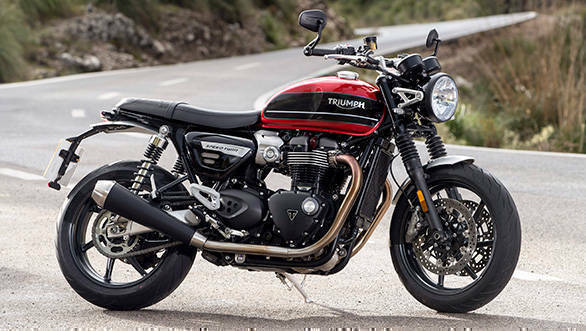 The launch is that of the 2019 Triumph Speed Twin that is scheduled to take place on April 24 in India. The company dealerships across the country have already started accepting bookings for the same. 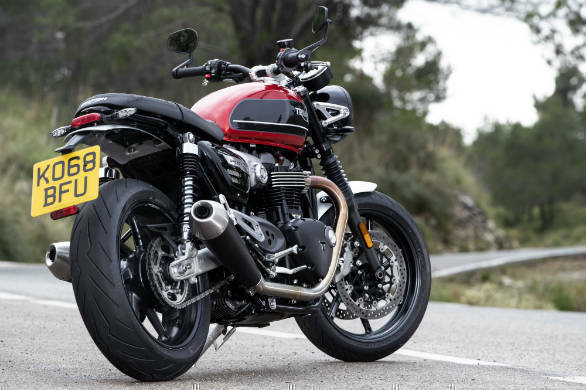 We expect the deliveries of the 2019 Triumph Speed Twin to commence in the last week of this month. 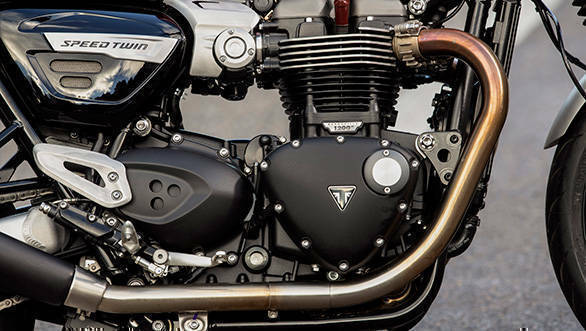 The 1,200cc liquid-cooled parallel-twin engine is based on the Thruxton's motor but Triumph has used exotic materials to reduce its weight. The motor in the Speed Twin is 2.5kg lighter than the Thruxton's and this was achieved by using magnesium cam covers, lightened engine covers and new clutch assembly. We have already ridden it and feel that the motor is delightfully free-revving but what's even more impressive is the generous torque spread. There's over 100Nm available from as low as 2,000rpm and the torque curve remains flat, almost throughout the rev range. What this translates to is fewer gear changes and ease of riding, which will hold especially true while riding in traffic. The Speed Twin has taken three years to fruition and the results are pretty impressive. A majority of the focus, during development, was to ensure the Speed Twin weighs less than the Thruxton and the difference is a significant 10kg, overall. In terms of design, the headlamp has a neatly integrated DRL (a regular feature on Triumphs, of late), the brushed aluminium fenders look fabulous while the chunky tank, with hand painted pinstripes occupies pride of place in the entire scheme of things. In keeping with the retro theme of the Speed Twin, Triumph ditched the temptation of incorporating a TFT instrument cluster and instead chose a beautifully detailed, analogue, twin pod unit. The fit and finish is excellent and something that we've come to expect of Triumph's Bonneville range.